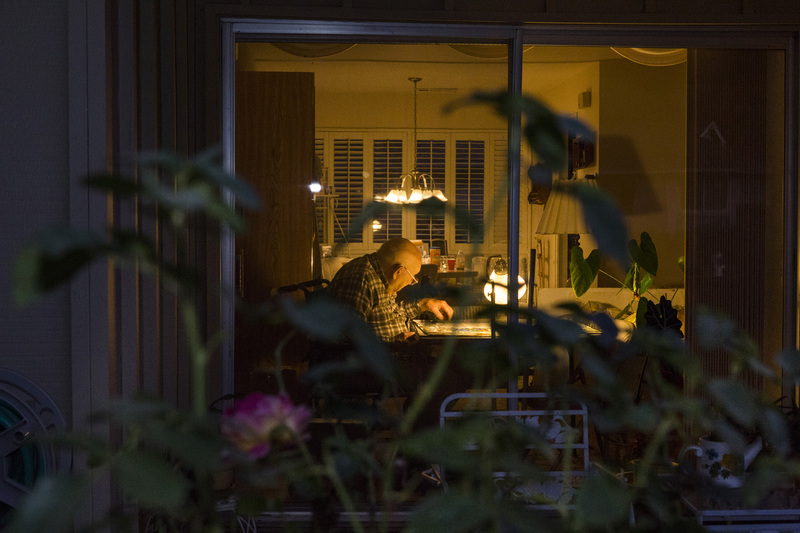 George Trenz, 99, sits in his duplex ranch-style home working on a puzzle on Valley Green Street in Oakmont Village, Santa Rosa, California. George moved from New Jersey to be closer to his daughter and has lived in Oakmont Village for 14 years. After his wife passed away he pays a caregiver to take care of him six hours each day.